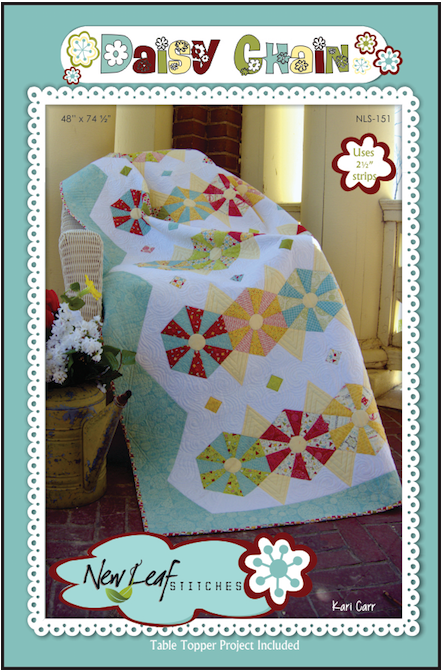 Rows of hexis are created with 2.5 " strips in this fresh, fun quilt. Perfect for the intermediate quilter. Bonus Table Topper instructions included. Printable templates available. Dimensions: 48 inch x 74 .5" - 12.5" x 28"